Hily is the newest dating app to try and dethrone Tinder as the top online dating platform. Hily sets itself apart by catering more to the adult crowd (18 and above) instead of teens. Download Hily from the App Store or Google Play, then register. Linking your Facebook account to the Hily social discovery app auto-fills your profile in the process. Hily is available for download in various countries such as, US, UK, Canada and Ireland. However, it will be soon making an introduction to Australia as well in just a couple of days. If you’ve tried Tinder before then you’ll feel right at home with the swipe mechanism. Other than that, there are neat features, such as being able to watch short user videos instead of just looking at pictures. You can initiate a chat when you find a profile you like. Send a quick HILY, or “Hey, I Like You” using video bubbles or GIFs to start the conversation. This medium allows for a more personal and flirty engagement than other dating apps. Hily has some nifty and novel features. Take a look at what the social dating app has to offer. Fake, spam or duplicate accounts are almost non-existent in Hily. There are a couple options of profile verification: Facebook, Snapchat, e-mail and live photo verification. You can tell that the profile is verified by a violet tick next to the picture. Besides, moderation team monitors all the new profiles on the app 24/7. This eliminates the chances of wasting time speaking to a bot and increases your chances of landing the right person. 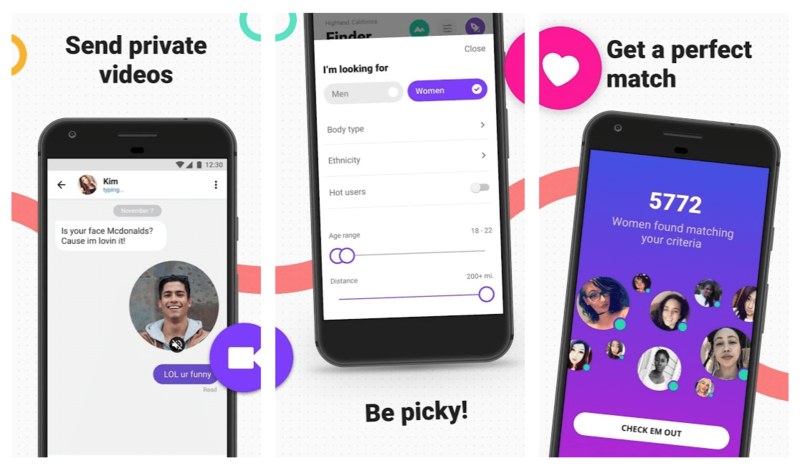 Hily employs a learning algorithm instead of the usual geo-location matching like other dating apps. The result? Users get more accurate matches and get potential dates that coincide with their interests, thereby increasing the chances of hitting it off. Dialogues, photos and mutual likes are just some of the factors that get calculated in the process. Hily sends out notifications if your messages have been read and whether a user has liked your Profile. This is a special addition that other dating apps may not offer. Yes, the app is indeed free to download and is available for anyone to use. Additionally, there is also a premium version called the Hily Elixir, which is an ad-free platform with several filters and features thrown in. It’s somewhat like Bumble Boost and Tinder Plus, which gets unlocked for a few dollars.